The Best Tongan Kavas Are Coming! When it comes to cultivating some of the world’s finest kava, few places can produce such complex and enticing varieties better than Tonga. That’s why we are so excited to announce the addition of two new Tongan kavas to our Bula Kava House menu. 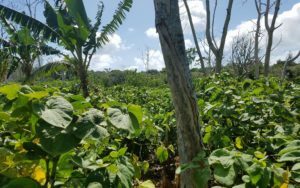 Tongan kava farmers today have successfully honored the proud tradition of kava in their culture by growing some of the world’s finest kava varieties. Many European distributors have taken notice of the kava quality in Tonga, making the demand for Tongan kava at an all-time high. While this demand makes it difficult for many distributors in the U.S. to successfully purchase Tongan kava, our connections with the farmers and community in Tonga have provided Bula Kava House with access to a pair of single cultivar kavas. The outstanding relationship we share with our partner farms allows us to import Tongan kava that is free of stems – which are often added by farmers to increase bulk but at the cost of potency. Our partner farms even wait to harvest the kava until an order has been placed, ensuring that we receive the freshest kava possible. We are excited to bring two new top notch Tongan kava varieties to you. Tongan kavas carry the reputation as being quite “heady,” and are excellent for providing stress release and general relaxation. Kula, an extremely rare kava from Tonga, is also commonly referred to as Huli, which means black or purple in the Tongan language, referring to the purple stems of the plant. Kula also possesses more physically relaxing properties than most other varieties of Tongan kavas. We could not be more excited to offer this remarkable varietal to our Bula Kava House community. You won’t find this kava available anywhere else! Akau, which means “tall” in Tongan, is a type of kava that provides a potent euphoric effect, and is very popular in Tongan daily life. A perfect kava for any occasion, Akau provides a potent sense of well being, along with a touch of muscular relaxation. Harvested fresh to order! We can’t wait for our kava community to try these outstanding new Tongan varieties, as we believe they make a terrific addition to our Bula menu. When we consider where to buy kava from, we often think of Tonga. And so will you after trying both of these fantastic new varieties. 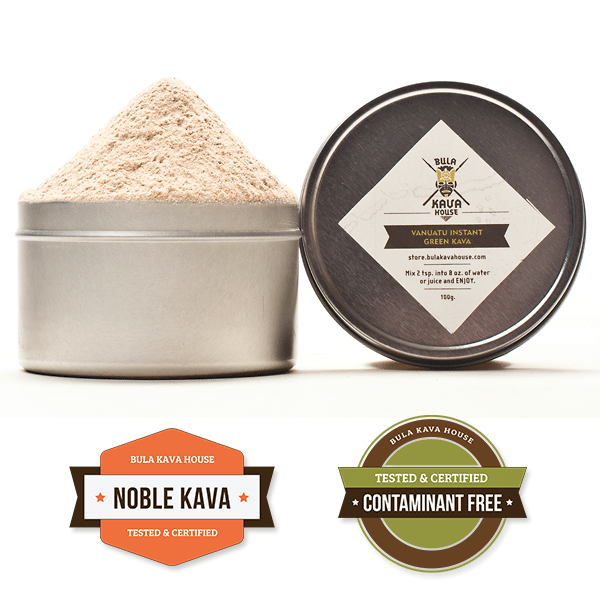 Buy Kula Kava Now! 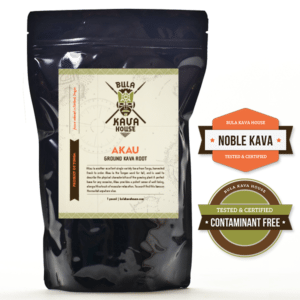 Buy Akau Kava Now! Of course, while two new Tongan kavas is exciting enough, we’d also like to take a moment to preview a new arrival that’s coming soon to the Bula kava menu. Leka Hina is a very rare and highly sought after Tongan kava. A private reserve kava, Leka Hina’s rarity comes from a slow growth cycle and a root that yields very little drinkable quantity. Leka Hina ranks as the strongest Tongan kava, and the supply we have coming is from five-year-old plants. Most kava from any growing region in the world ages between 3 to 3 ½ years before harvest, but the potency of a kava increases with age. The extra maturation of Leka Hina provides the kava with a well-balanced, yet incredibly potent effect that you have to experience to believe. 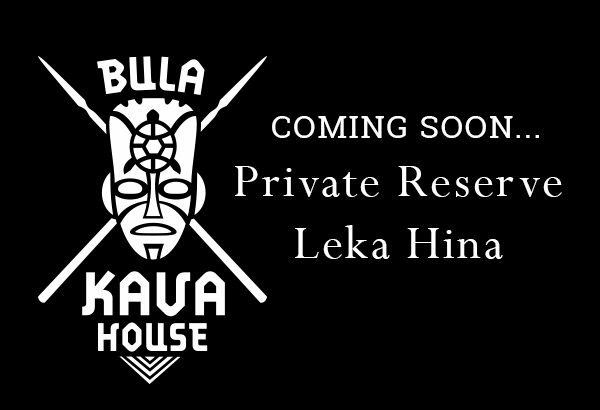 While we don’t have a confirmed release date yet for Leka Hina, you can expect to find this exotic new varietal coming soon to our online store. 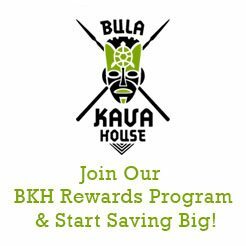 At Bula Kava House, we strive to develop lasting relationships with farms in some of the world’s best kava growing regions. By forming partnerships directly with farmers, we have the opportunity to bring our Bula kava community some truly exceptional varieties not found anywhere else in the U.S. It’s through these relationships that we have been able to add these truly spectacular varieties of Tongan kava to our menu. For the people and farmers of Tonga, kava plays a central role in their proud history and traditions, and serves as a symbol for both the Tongan way of life and as a transition into death. For thousands of years, the people of Tonga have passed the secrets of kava down through the generations, resulting in a product that’s grown using the utmost care and craft. Before Kula, Akau, or any of the seven Tongan varieties of kava were first grown, one legend speaks of the origin of kingship, which many scholars believe symbolically refers to the origin of kava itself. The legend tells of a demigod named ‘Aho’eitu that was born of a human mother. Anxious to meet his divine father, ‘Aho’eitu climbed the tallest ironwood tree in his village in order to reach the heavens. Once at the top, ‘Aho’eitu is met and greeted by his father who’s so struck with the boy’s grace and beauty he mistakenly believes his son to be an even greater deity and more divine spirit than himself. The deity takes his son to meet his brothers who instantly resent ‘Aho’eitu and proceed to consume him to gain his power. The father, suspecting what his brothers have done, forces them to spit up the essence of ‘Aho’eitu into a bowl. The father then submerges the remains of his son in water and ‘Aho’eitu slowly emerges whole and alive once again. The father then returns his son home to become the first Tu’i Tonga, or king of Tonga. The spitting of ‘Aho’eitu into a bowl by his father’s brothers is believed to symbolically represent the chewing of kava that is then spit communally into a bowl and mixed with water. The kava that’s created in this process is then traditionally consumed during ceremonies, especially when a new king takes the throne. The symbolism of kava playing a role in the life and rebirth of a character is often repeated in Tonganese myths, and plays a central role in another story that gives an origin to kava. Fevanga and Fefafa lived happily alone on a remote island with their daughter Kava kilia mai Faa’imata. One day, the Tu’i Tonga and his men came to the island to rest during an unsuccessful fishing trip. Hungry, the king ordered his men to scour the island to find him food. While the island was lush with vegetation, the king’s men found nothing to eat, only the home of Fevanga and Fefafa. Honored by the Tu’i Tonga’s visit to their home, Fevanga agreed to prepare a meal for the king and his men. However, Fevanga was unable to find enough food to feed even the king alone. Disgraced and humbled by his failure, Fevanga sacrificed his daughter, Kava, to honor the Tu’i Tonga. Touched by the father’s tribute, the Tu’i Tonga declared the final resting place of Kava to be a sacred place that would be honored throughout the ages. Upon returning to his daughter’s shrine, Fevanga found two plants growing – one from the head, the other at the foot. Fevanga then noticed a mouse stagger away drunkenly after nibbling at the first plant. When the mouse returned to chew on the second plant, it left looking less intoxicated and more energized. 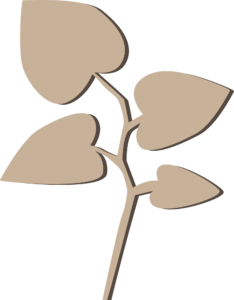 The first plant was later understood to be kava, while the other sugar cane. Still to this day, the people of Tonga acknowledge the sacrifice of Kava during ceremonies that involve both plants. Since the days of the first Tu’i Tonga, both plants have been used in kava ceremonies. The king is given kava to drink while everyone else receives sugar water. Here kava plays a special role in helping to promote peace among the Tongan people, while also honoring the memories of their ancestors. Kava ceremonies held in Tonga to memorialize a death in the royal family, a marriage, or the bestowing of an honorary title are believed to be some of the oldest in the world, dating back to the 10th century. We believe these two exciting new varieties perfectly capture the history, legend, and myth that kava represents in Tongan culture. Much like the story of kava itself in Tonga, we’re confident you’ll find yourself captivated by the colorful characteristics and bold flavorful features of the new Kula and Akau varieties. What do you think? Is Tongan kava the best in the world? What have your experiences with Tongan kava been like? Let us know in the comments below.